Novellini was founded in the 1970s as a small artisanal company, specializing in the production of wrought iron and aluminum door and window frames. 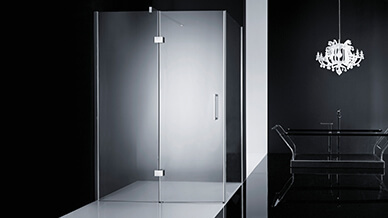 In the 1980s, Novellini grew and expanded to the European market, increasing its production of shower enclosures and mosquito screens. 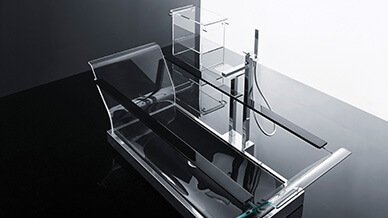 Over the years, Novellini enlarged its product assortment and began to make wellness products such as whirlpools, complete enclosures, equipped shower panels, shower pans and towel radiators. More recently, Novellini created the high-range collection called ‘Elysium’. This new product line merges a contemporary and essential design with the echo of the Italian artisan masters of decorative arts. Today, the Novellini Group is a pacesetter in Europe, offering a complete range of products and producing special, made-to-measure solutions for the contract industry. Integration and automation are the two key-words that mark out the production cycle of the company: the whole production process takes place inside the Novellini production sites. Novellini has been using Evolve in several of its production departments since 2003 to meet a wide range of needs. Behind any Novellini product there is a Total Quality philosophy which involves design research, requirements analysis and industrial planning. With annual production of more than 1.3 million units, including shower enclosures, multipurpose shower units and whirlpool bathtubs, Novellini needs to continuously upgrade its product lines, which are distinguished by superior construction quality and design. Silvano Cuzzi, head of the Design Division at Novellini, explains: “By taking advantage of the features of Evolve and the ability to explore a virtually infinite number of design alternatives, our division has conceived many new ideas to submit to management for a wide range of product types. We prepare the design proposals, whether these are shower enclosures, sauna units, or bathtubs, without setting excessive creative limits." 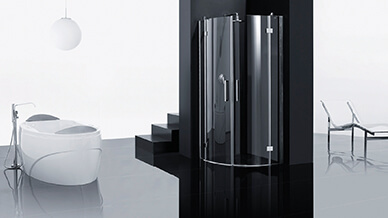 Quickly develop and upgrade a wide range of medium and high-end bathroom products. Evolve provides a flexible design environment that requires minimal effort and optimal results while working with fast commercial timelines. “Obviously, these initial ideas are largely introduced using photorealistic rendering. In this phase, execution speed and the variety of the proposals to submit to management are very important to us. Commercial needs often come with extremely fast timelines,” continues Cuzzi. “After management makes its decision, I take the next step to refine the design, while keeping in mind the target market of the product and production needs. Novellini proposes several types of products in the medium range market and now, with the new Elysium line, in the high-end market as well. “At this point, when the models are ready to move forward to the technical office for engineering and creation of the working models,” explains Cuzzi, “the sales office can already begin to introduce the new products to our customers, using high quality, photorealistic rendering executed with Evolve software." Novellini also uses Evolve to develop the assembly instructions for the various product lines. Andrea Zavattini, graphic artist, explains: “Thanks to the high quality of the interactive model display, I can quickly find the most effective angles for the technical representation of the models in our catalogues and in the assembly instructions. This procedure speeds up the entire process of document creation. I use sketch rendering to create the images that only require a few minor tweaks with vector-based drawing software." "Without Evolve" continued Zavattini, "it would take me at least four times as long as it does today." With over 40 years in the industry, Novellini Group has become a European leader with global sales offices. They pride themselves on their zero-emissions integrated cycle, from the raw manufacturing to product assembling and packaging.